Welcome to the Independent Bible Reading Plan for James Chapter Four! I pray that you are enjoying this study, and that God has been speaking to you through His Word! Remember, if you want a deeper study, check out either the Homeschool Study or the Group Study. 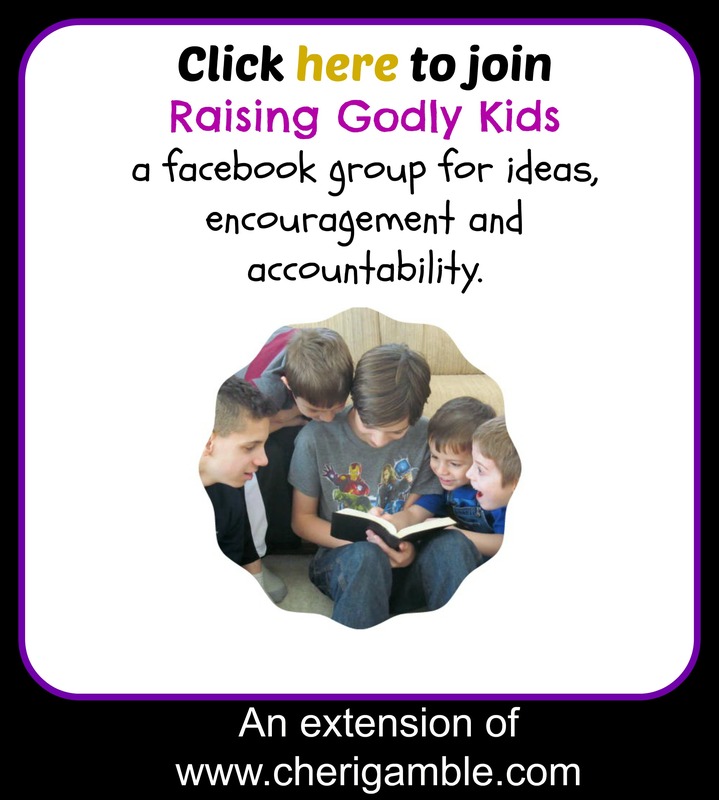 I have been using the homeschool study this year with my boys and our church has been using the group study with all of our youth ministries this year. Hopefully some of you will find these studies helpful, too! And now, here is the Bible Reading Plan for James Chapter Four! ___ Day One: James 4:1-3. Think about it: According to these verses, why do we quarrel and argue? Do you find this to be true in your own life? Pray about it: Ask God to help you desire what He desires and to have motives that please Him. ___ Day Two: Joshua 7. Think about it: Why do you think Achan committed his sin in these verses? What impact did it have on himself and those around him? NOTE: This passage of Scripture can be hard to read. After all, Achan was the one to sin, not his family. However, this passage is a good reminder that our sins often impact other people – even innocent people. We need to be very careful with how we live our lives. Achan’s sin hurt the people of Israel, the families of those who died in the battle, and his own family. Sin is NEVER a good thing! Pray about it: Ask God to help you overcome the temptations in your life. ___ Day Three: Acts 8:9-24. Think about it: What did Simon do in these verses? How did he respond when he saw the Holy Spirit given to people by the laying on of hands? What does this tell you about his motives? How do these verses relate to James 4:1-3? Pray about it: Ask God to examine your motives and to help you do all things for HIS glory and not your own! ___ Day Four: Matthew 6:1-24. Think about it: What should our motives be when we pray? How do these verses relate to James 4:1-3? Pray about it: Spend time today praying for all of your friends and family . . . but don’t tell anyone what you are doing. Go into a room by yourself and pray on your own! ___ Day Five: James 4:1-3. Make a “prayer closet” in your house for yourself or for someone else – or spend time cleaning up a prayer room at your local church. This is a great song for you to use as you ask God to search your heart and examine your motives. It is “Search Me O God” by Hillsong. ___ Day Two: Joshua 24:14-28. Think about it: What did Joshua challenge the people to do? NOTE: We have a decision to make. Will we serve the Lord and love Him more than anyone or anything else, or will we love the world and the things of the world more than God? What choice are you making in your life? Pray about it: Pray about your commitment to God today! ___ Day Three: Luke 14:25-35. Think about it: What do we need to give up to become a follower of Jesus? Jesus tells us that we must count the cost and see if we are willing to do what it takes. Have you counted the cost? Are you willing to place your relationship with Jesus Christ as more important than ANYTHING else in your life? Pray about it: Ask God to reveal any area where He is not first in your life. ___ Day Four: 1 John 2:15-17. Think about it: What is happening to all the things in the world? What is the only thing in life that will last? Pray about it: Ask God to help you seek after that which will last. ___ Day Five: James 4:4-6. Give some of your prized possessions away to the poor! These verses tell of God’s great love for us – He is JEALOUS for us! He doesn’t want to take second place to anything else – a relationship, a hobby, a sport, a possession . . . He wants to be more important to us than ANYTHING. This is a great song by David Crowder (“How He Loves”) to remind us of that fact. ___ Day One: James 4:7-10. Think about it: What does it mean to submit yourself to God? What happens if you resist the devil? What is the promise to us if we draw near to God? How can you live out these verses in your life? Pray about it: Pray each part of these verses, asking God to help you live them out in your life on a daily basis. ___ Day Two: Psalm 30. Think about it: How would you summarize these verses? How does Psalm 30:11 relate to James 4:9? NOTE: James 4:9 and Psalm 30 appear to be opposites. In James 4:9, we are told to turn our laughter into mourning and our joy to gloom. But in Psalm 30:11, we see that the Lord turned David’s mourning into dancing and filled him with gladness. This is how it can be with us, too. Sometimes we laugh and joke around when we should be serious and quiet before the Lord, but sometimes the Lord will fill us with gladness at those times when it would seem we should be sad. The important thing to remember is that the Lord is with us no matter what our emotions are and He will help us deal with and express our emotions in the proper way. Pray about it: Take some time today to be totally alone with God. Ask Him to draw near to you and let Jesus speak to your heart! ___ Day Three: Philippians 2:5-11. Think about it: How did Jesus humble Himself? How did God exalt Jesus? Pray about it: Ask God to help you humble yourself, too! ___ Day Four: 1 Peter 5:5-11. Think about it: What is one area where you need to humble yourself? What is one care you need to cast on the Lord today? When do you need to be on alert the most? How can you resist the devil? Pray about it: Pray for those areas where you need to humble yourself, those cares you need to cast on Jesus, and the areas where you need to be alert and resist the devil. ___ Day Five: James 4:7-10. Draw pictures to go along with each of the phrases from these verses. Put the pictures together to convey the entire thing. ___ Day One: James 4:11-12. Think about it: Who is the lawgiver and judge? What does this mean when it comes to us judging one another? What is the difference between judging one another and lovingly pointing out and helping them to overcome sin? NOTE: Some people are quick to say , “We should not judge”, and then they remain silent on issues that are blatantly sin. The principle of not judging one another does not mean that we are to ignore sin. However, we do need to be careful not to be so busy pointing out the sin in someone else that we miss the sin in our own lives. Pray about it: Ask God to help you to not judge others. ___ Day Two: Numbers 12:1-15. Think about it: What were Miriam and Aaron doing to Moses? How did God respond to this? Are you ever guilty of complaining about your leaders? Pray about it: Spend time thanking God for your leaders and praying for them instead of complaining about them. ___ Day Three: Matthew 7:1-5. Think about it: According to verse 1, why should we not judge? By what standard will we be judged? What do you think this means? Pray about it: Ask God to show you if there are any planks in your eye! ___ Day Four:1 Corinthians 5:3-13. Think about it: 1 Corinthians 5:3 shows one reason that Paul was comfortable with judging this person. What was it? What can we learn about judging from these verses? These verses seem to be saying something totally different than what James said about judging. James tells us not to judge or speak against someone, but Paul tells us to judge and to “remove the wicked man from among yourselves.” What do you think of this? NOTE: I think Paul and James are talking about different kinds of judging. Paul is talking about the judging of fellow Christians who are blatantly and openly living in sin. We should have no tolerance for that type of behavior. James, however, is talking about a different kind of judging – a kind that says, “I am better than you. Look at what you are doing. I don’t do those things!” and points out areas that don’t really matter – like Miriam and Aaron did when they judged Moses for marrying a woman from a different race. Pray about it: Ask God to help you to know when you should judge and when you should not. ___ Day Five: James 4:11-12. Find a board and paint it in a way that will remind you to always look for the plank in your own eye before judging the speck in someone else’s. ___ Day One: James 4:13-17. Think about it: What do these verses say about our lives? Who is ultimately in control of all things? What do you think verse 17 is talking about? Are there any “right things” that you know you should be doing but you aren’t doing them? Pray about it: Ask God to show you the things that you need to be doing in your life. ___ Day Two: Ezekiel 33:1-9. Think about it: How do these verses relate to James 4:17? What is the message that we are supposed to give to others? What are some ways that you can share this message with others in your own life? Pray about it: Ask God to give you an opportunity to share the message of the gospel with someone this week. ___ Day Three: 1 Peter 1:22-25. Think about it: How should we treat one another? What is it that lasts forever? The Word of the Lord was preached to us. What should we be doing with the Word? NOTE: We can have an impact long after we are gone from this earth by sharing the Word of God with others! Our lives are so short, the only thing that is really going to matter in the long run is what we do with the message we have been given. Are we sharing it with others, or are we keeping it to ourselves? Some day we will be in heaven, and won’t it be great if we were able to have all of our friends and family members there with us? This can only happen if we share the Word with others! Pray about it: Spend time today praying for your family and friends who do not know Jesus. ___ Day Four: Matthew 28:18-20. Think about it: What is one responsibility that we as Christians have? What is one promise that Jesus gives in these verses? Pray about it: Ask God to show you ways that you can share the gospel with those around you. ___ Day Five: James 4:13-17. Write a letter to your future self. What do you want your future self to remember and to keep in mind in the future? Now that you have finished James Chapter Four, check out the Bible reading plan for James Chapter Five! Thank you very very much for the studies. My teenage daughter really enjoys them. God bless you so much.